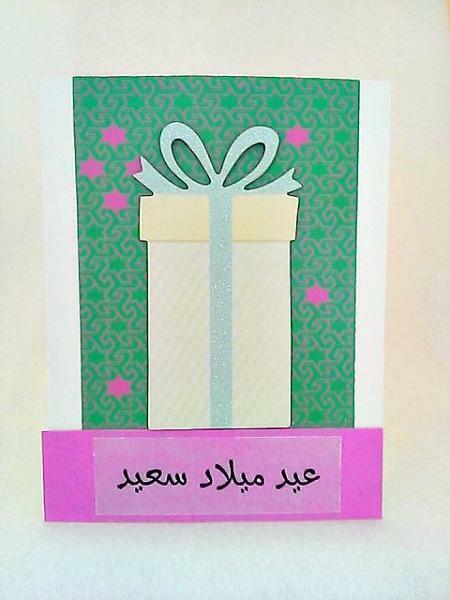 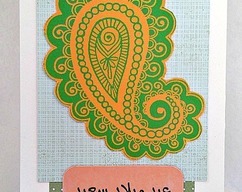 This green and pink Arabesque eid milad sa'id (happy birthday) card has the words printed on vellum and placed over pink cardstock at the bottom. 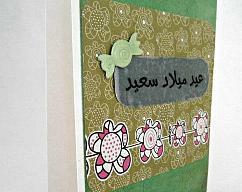 A bright and glittered oversized birthday present has been added on top to add some cheer. 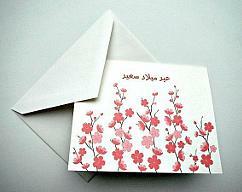 It’s a lovely way to wish that special someone a happy birthday in an unusual manner. 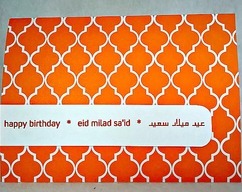 Since this is a Farsi card, it opens left to right.